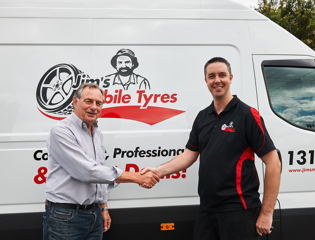 Jim’s Mobile Tyres is a new division of the Jim’s Group well known in Australia since 1989. 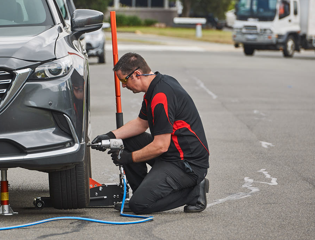 Now Jim has joined forces with tyre industry experts to take mobile tyre fitting mainstream. The division is run by tyre industry veterans who have extensive industry knowledge, purchasing power, well-established networks and a clear understanding of business clients and their needs. Don’t let a flat tyre get you down. 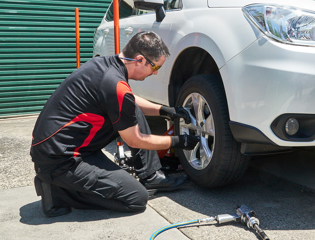 Get your tyres rotated at your home or work. Schedule a fitting or find out more. Are you existing Jim's Moile Tyre Customer?